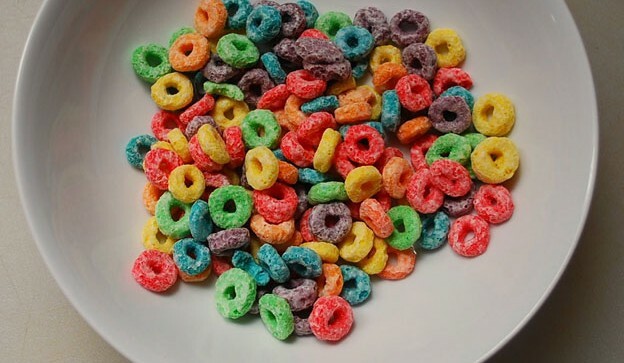 GMO Free USA today published the results of independent lab testing which documented that Kellogg’s Froot Loops cereal contains high levels of insecticide-producing genetically engineered corn that is regulated by the EPA. Tests also documented the presence of glyphosate at 0.12 mg/kg, the main chemical ingredient of Roundup® weedkiller. The public interest nonprofit recently launched “OPERATION: LABEL GMOs” to test popular food products for genetically engineered ingredients (GMOs) and glyphosate, which is heavily sprayed on GMO crops. There is substantial and growing peer-reviewed scientific evidence that both GMOs and glyphosate are damaging to health (see supplementary information below). GMO Free USA plans to expand testing to include 2,4-D, dicamba, atrazine, and neonicotinoid insecticides. “We find it disturbing that Kellogg’s is feeding children unlabeled GMOs and toxic herbicides. Statistics show that this is the first generation of children that are sicker than their parents. Is Kellogg’s endangering our children? Based on the growing body of scientific evidence, we believe so and we hold Kellogg’s accountable. Parents need to know what they’re feeding their children, and Kellogg’s is spending millions to keep the composition of their products hidden,” says Diana Reeves, Executive Director of GMO Free USA and mother of 3. Reeves echoes the sentiment of a rapidly growing movement in the U.S. that is demanding the removal of GMOs from the food supply and the reduction of pesticide use in agriculture. GMO Free USA is calling on Kellogg’s to commit to removing GMO ingredients from all of their products and enroll in Non-GMO Project Verification. The FDA, EPA, and USDA allowed the insecticidal GMO corn and the glyphosate discovered in Froot Loops to be commercialized without ever conducting human safety tests. 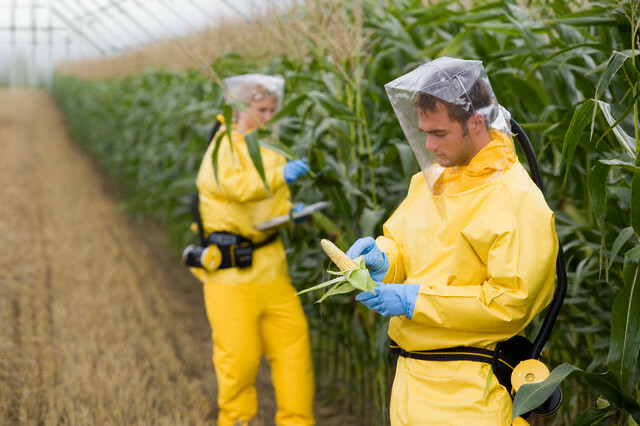 An in-vitro study found that the insecticides in this corn may be toxic to human cells. Feeding studies conducted on mammals found adverse effects, including immune system disturbances, signs of organ toxicity, disturbances in the functioning of the digestive system and male reproductive organ damage. The level of glyphosate detected could kill beneficial gut flora as documented by a study on chickens. An in-vitro study on human cells at minute real-world environmental levels of exposure found that glyphosate was able to effectively substitute for estrogen in stimulating growth of hormone-dependent human breast cancer cells. Several studies also suggest that glyphosate bioaccumulates in our bodies. Glyphosate was found in breast milk in recent tests. All of this research raises red flags that Kellogg’s and the FDA have ignored. Despite testing for hundreds of pesticides in food commodities, the USDA claims they do not test for glyphosate residue. Why would the USDA not test for residue of the most widely used agricultural herbicide in the world? I hope Kellogg’s goes out of business because non of the products they make have any health benefits or nutritional value outside of a vitamin pill. Kellogg’s products are making millions of people sick. Consumers and kids are lied to about how healthy their food is. It’s all junk and no one should eat any of it. 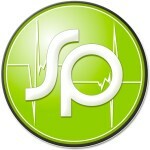 Please go to Gutsense.com. It is an extremely informative websight that educates you on why this food is making you sick. I can speak from experience. This websight knows what it is talking about and it works. Kellogg’s and all companies like it can all go to hell for lying to their customers. The very people that keep them in business and in return, the customer gets sick for trusting this horrible company. I will never buy another Kellogg’s product again and I hope everyone else does the same. Spot on !! Boycott and share w/ ;EVERY BODY !!! I agree! Boycott Kellogg ‘s!! Share with everyone you know. CALL KELLOGGS @ 1-800-962-1413–I did! Tragically, 90% of all foodstuffs in the average american grocery store contain GMO ingredients. My daughter was recently diagnosed with an autoimmune disorder. Shortly afterwards, I learned that the little white spots on her fingernails indicated a zinc deficiency. I couldn’t figure out why a kid with a balanced diet would have a zinc deficiency, but perhaps this explains it. I shudder to think that eating GMOs and non-organic wheat may have resulted in her autoimmune disorder. Her doctor says the incidence is going up an unexplained 3% every year for the last dozen or so years, and so there must be an environmental trigger. It used to occur in 1 in 1000 kids, and now it’s 1 in 400 kids. Scary. “We find it disturbing that Kellogg’s is feeding children unlabeled GMOs and toxic herbicides.” No, it is parents who are feedlng their kids industrially-produced crap. It is parents who have the power to make better choices for their kids by bypassing these chemical-laden pseudofoods. Kellogg’s is simply making money because the masses simply don’t care very much about what they ingest. If you don’t like Kellogg’s, or any of the other many, many mega corporations like them, then opt for foods without an ingredient label as frequently as possible, and get familiar with your kitchen so you can exercise control over this extremely important part of your life. I am mortified to find out that Fruit Loops contains Glyphosate! I have been eating this cereal for breakfast practically every day for the last several months. I took a break from my oatmeal which I had gotten tired of making every morning. I have an unopened super size family box of Fruit Loops that I don’t want to eat now. I wonder if I can take it back to the store. I bought it a week ago. Shame on Kelloggs. They have forever lost a customer! The real horror of GM crops is the so-called “safe” Roundup herbicide used. It was patented as a chelating agent which binds metal ions including manganese which your body requires to regulate enzymes and proteins. This changes everything within our digestive systems and thus the entire functioning of our bodies. Monsanto now has farmers spraying Roundup (glyphosate) on crops, including non-GMO crops, a few days before harvest to help dry them out for easier processing. It only takes 0.2ppm to wreak havoc in your gut. Search youtube or Google for “Don Huber” to learn much more. Glyphosate is evil! Absolutely lacking in morals and ethics this family company is laughing up their sleeve making their product from poison they refuse to recognise as such because of the money back pocketed by them from Monsanto keeps them in line.